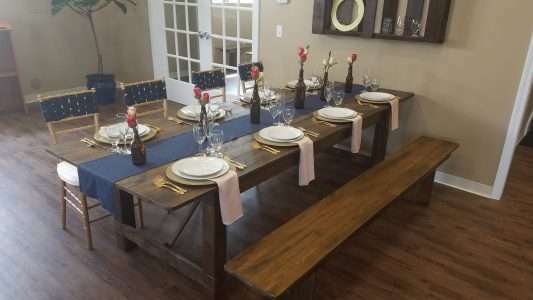 Did you know that we have an array of colored pipe and drape? 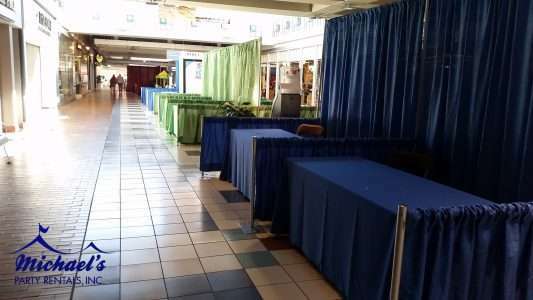 If you’re hosting and expo and what to use your companies colors in place of the traditional black or white, we got you covered! 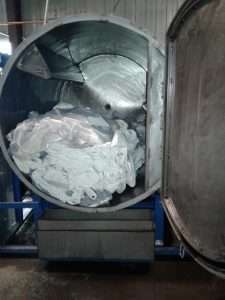 Did you know that we offer tent washing services with our state of the art Teeco tent washing machine. This machine is specially designed for washing vinyl, with a carefully controlled water temperature setting to efficiently clean your tents. Our tent washer is capable of washing up to 2,200 square feet of vinyl at once. 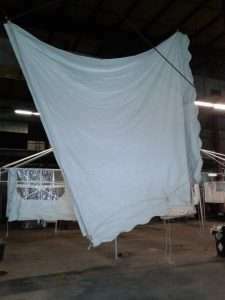 After the tent is washed it is suspended from the ceiling using a block and tackle system for drying. Have a vinyl that needs to be cleaned, give us a call for more information on keeping your tents pristine. Snuggled in the center of Forest Park in Springfield is the Barney Estate. 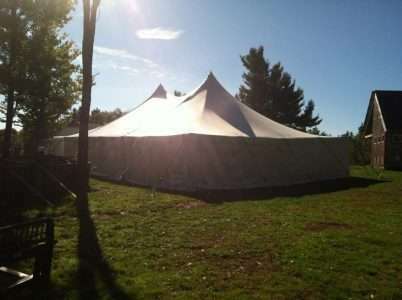 Barney Estate has a seasonally installed tent on premise that’s equipped with a beautiful tent liner and chandeliers! 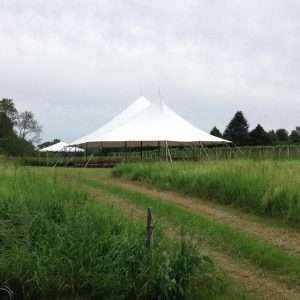 Looking for a site to have your tented wedding? Look no further! 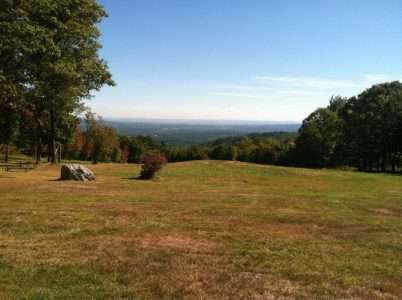 Nobel View in Russel MA is a beautiful spot for a tented wedding. Contact Brenda Clemons if interested in having your wedding at Nobel View! We had the honor of being apart of the 11th annual 40 Under Forty Gala. The 40 Under Forty gala celebrates 40 young local business and civic leaders. It’s a known fact that we love tented weddings! 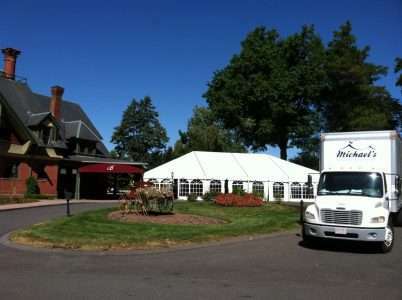 But a tented wedding at a vineyard? Our hearts skip a beat just thinking about it! 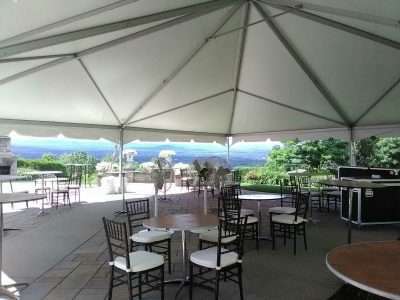 Here are a few shots of a wedding we did at the new Glendale Ridge Vineyard in Southampton a few weeks ago! Green with envy over our displays last month? If so, don’t worry! Below we will give you the breakdown to achieve these looks at your next party!